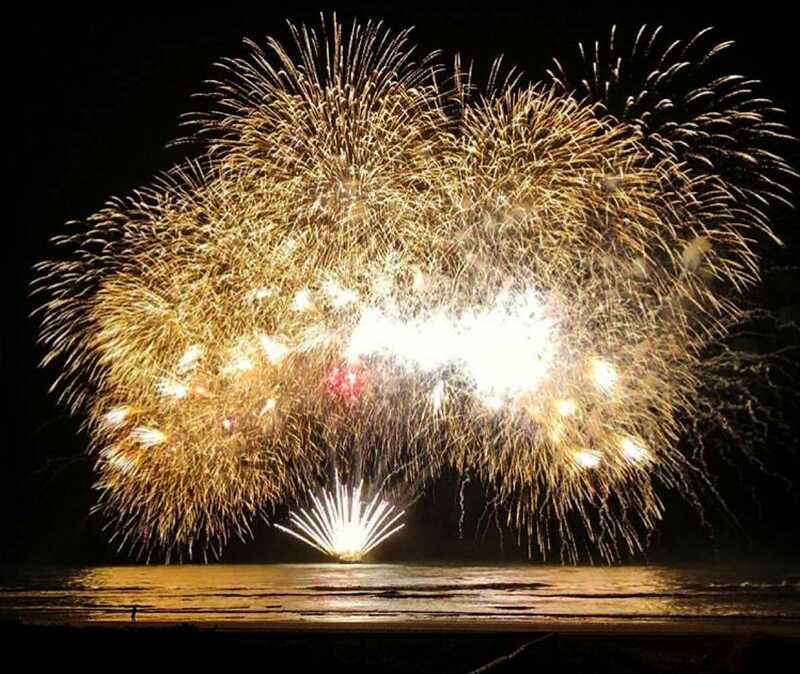 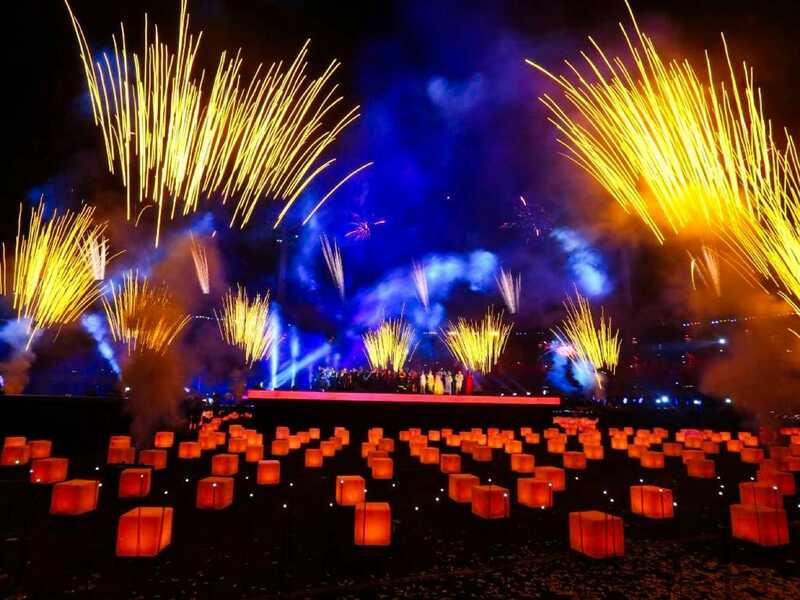 After an extensive procurement process Howard & Sons Pyrotechnics were appointed by GOLDOC and Jack Morton Worldwide to design and provide the pyrotechnics and special effects for the 2018 Gold Coast Commonwealth Games Ceremonies. 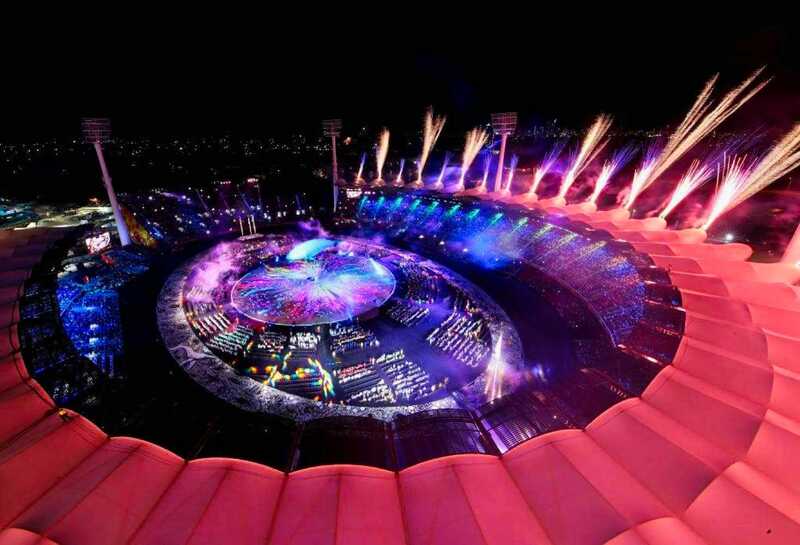 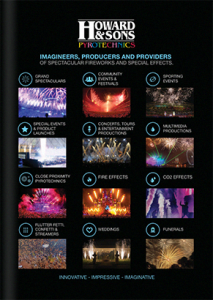 Our designers collaborated closely with the creative directors to custom design and then manufacture unique pyrotechnic effects specifically to create wow moments and enhance creative scenes of the ceremonies. 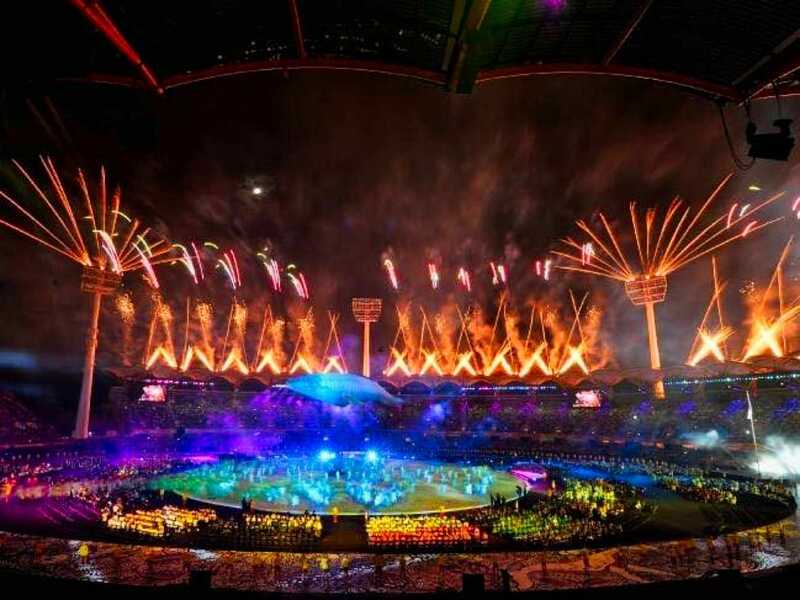 The Carrara Stadium rooftop is a canvas fabric and had never approved pyrotechnics to be launched from the stadium rooftop. 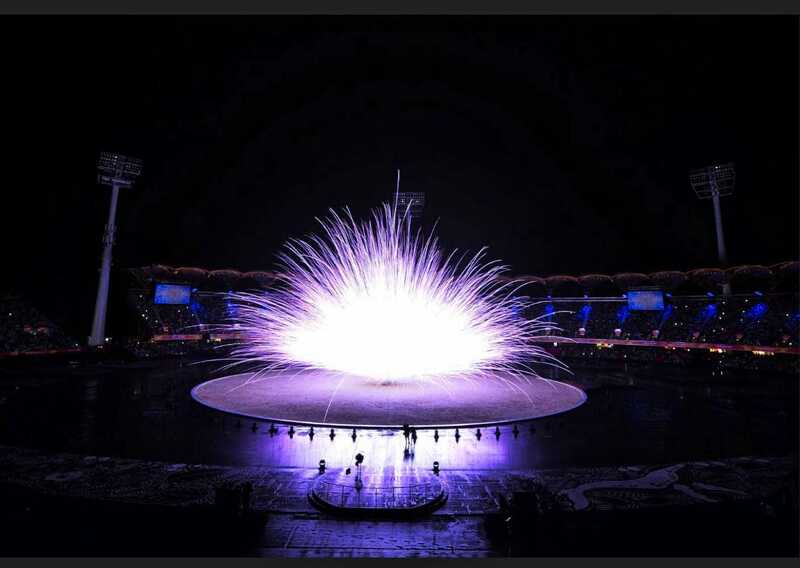 For this project we designed new custom ‘no fall out” product and also fabricated 70 new pyro pod plates that were rigged and secured to the stadium roofbeam and 36 pods atop of the 50m high stadium lighting towers. 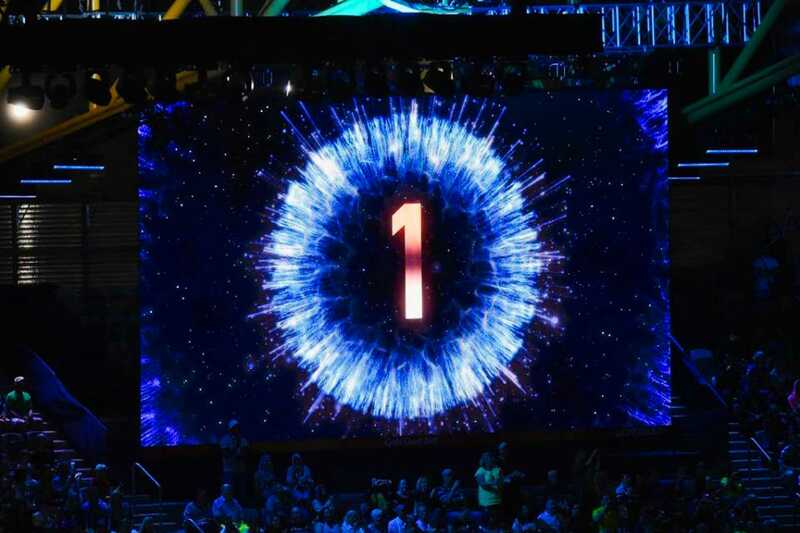 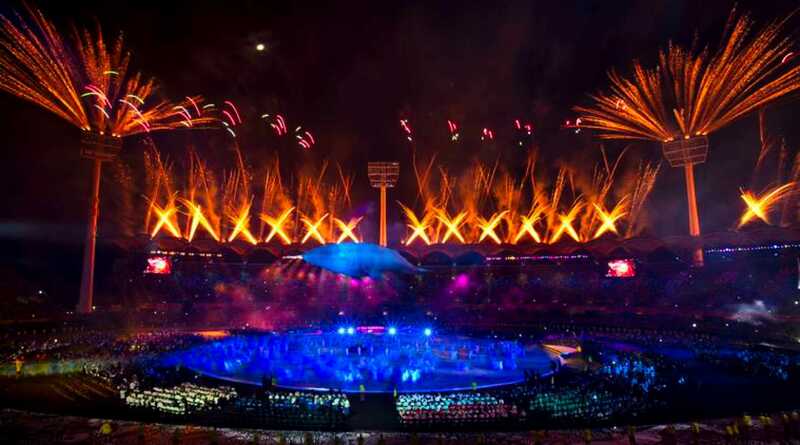 Our team worked within a massive technical production team lighting, projection, audio, staging, cast headline talent and broadcasters to integrate the pyrotechnics and special effects throughout the ceremonies safely and effectively. 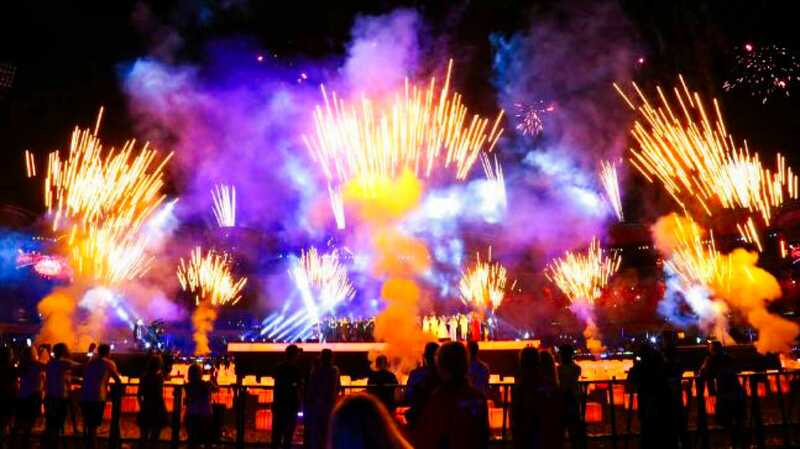 One of our most memorable pyrotechnic moment of the Gold Coast ceremonies, was the moment that the worlds athletes were welcomed to parade around the stadium, we triggered a brilliant rapid chase sequence of Silver Jets and Gold Gerbs that lapped around the athletes parade track, moving faster and faster each lap. 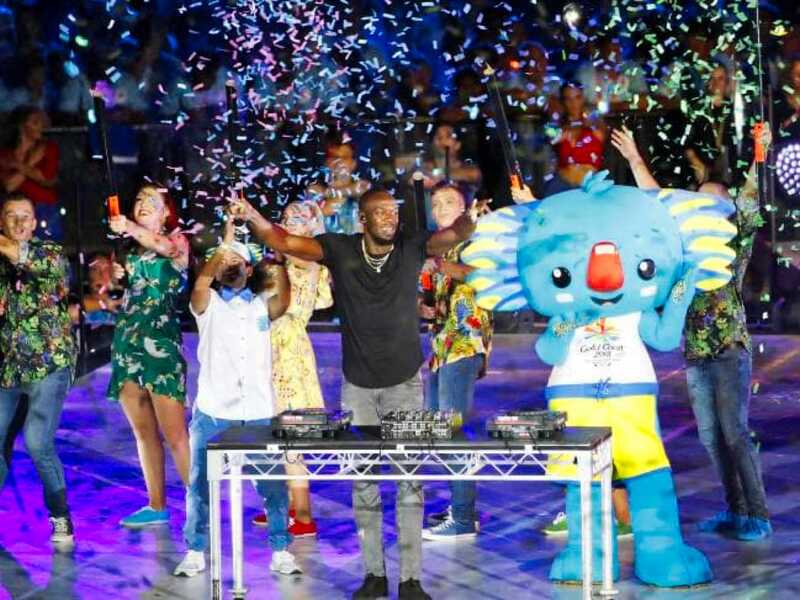 The Closing Ceremony featured a fitting ‘Australian Gold’ finale of pyrotechnics launched from the stadium stages, the stadium rooftop and ocean barges off Surfers Paradise.